Today we will talk about crocheting this super cute and beautiful winter shrug poncho that you can see on the photos. 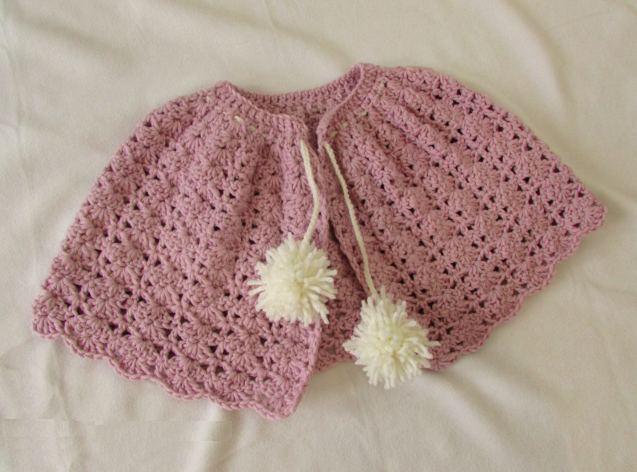 The poncho is crocheted using the shell stitch and you can crochet it as a small size as well as for the adult. The poncho is one of the most interesting crochet projects and it’s said that if you crochet poncho at least once you can crochet anything. Of course you can use the color you want your shrug to be, it all depends on you and your taste. It won’t take much time or energy to crochet the poncho, trust me the working process will be joyful. The video tutorial that is presented in the article is great, it is created by one of the best crochet professional that can be found on the internet and I am sure that if you follow the instructions step by step you are going to get the result that will amaze you.